As we grow here at American Gear Company we try to develop and make available great new products. Our latest new addition is our Pop ‘N Catch bottle opener. 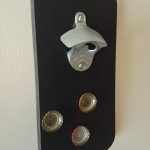 Made with high grade ABS this ultra sturdy bottle opener is perfect for your kitchen, bar or even tailgate party. We use high quality, strong rubber coated magnets that grip but don’t scratch your surface. 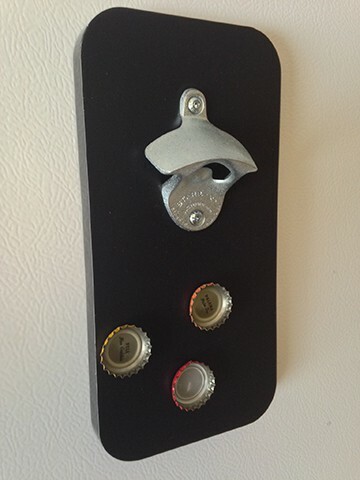 The bottle opener is high grade molded aluminum for effortless bottle opening. 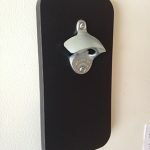 The magnets on the unit are so strong that the bottle cap gets caught on the face of the product and does not fall to the floor. Custom artwork can be applied to the face surface of the unit using a 4 color digital print process.